Cornwall’s manufacturing companies are benefiting from new opportunities in the space and aerospace sectors. AeroSpace Cornwall connects businesses across Cornwall and the Isles of Scilly with research, development and innovation partners to create new employment opportunities for the region. AeroSpace Cornwall is helping develop impressive high-tech business clusters, and has been working with forward-thinking companies from the Cornwall Manufacturing Group (such as Hirst Magnetics Instruments Ltd, Flann Microwave, Composite Integration, RAM Gaskets, Logan Electronics and DP Engineering) as well as Bluefruit, Packet Ship and Goonhilly Earth Station. • Productivity improvement programmes (designed to increase the competitiveness of local businesses and create new supply chain opportunities). • R&D funding for aerospace and space projects (designed to accelerate product and service development). engagement with the aerospace and space markets). components for the multinational Surface Water and Ocean Topology (SWOT) satellite. 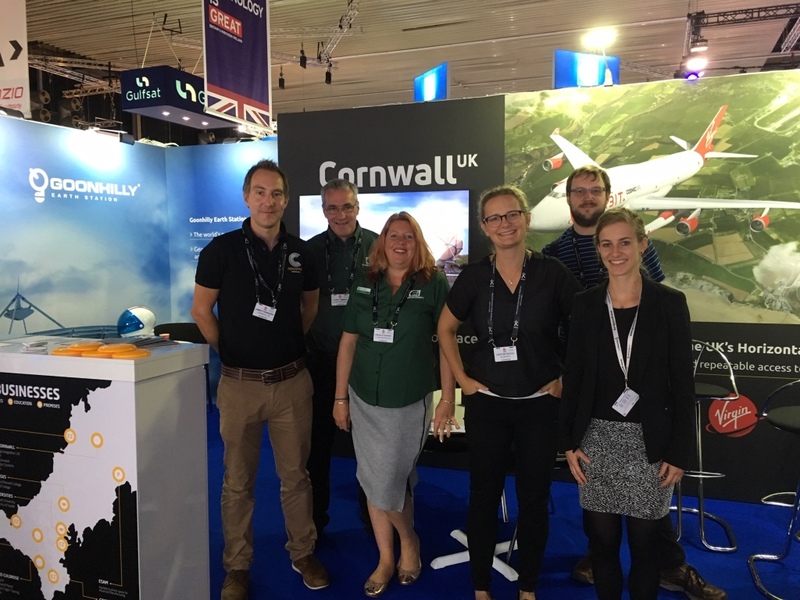 “AeroSpace Cornwall has been a great support to us in the past six months in many ways, assisting financially to attend events in the USA, UK and Europe as part of Cornwall’s Space Cluster. Another local manufacturing company that’s been supported by AeroSpace Cornwall is RAM Gaskets. The company manufactures gaskets and seals for various markets including aerospace and defence. They received supply chain competitiveness support from an industry expert, and as a direct result RAM Gaskets received a bronze award from the UK’s Supply Chains for the 21st Century (SC21) programme at the Farnborough International Airshow this year. The EU-funded AeroSpace Cornwall programme is led by Cornwall Development Company and delivered in partnership with the West of England AeroSpace Forum (WEAF). Their combined aim is to support and promote business innovation in Cornwall which adds value to the aerospace and space sectors and to encourage investment in research and development. If you are interested in taking advantage of the unique opportunities which AeroSpace Cornwall offer, visit aerospacecornwall.co.uk for further information.